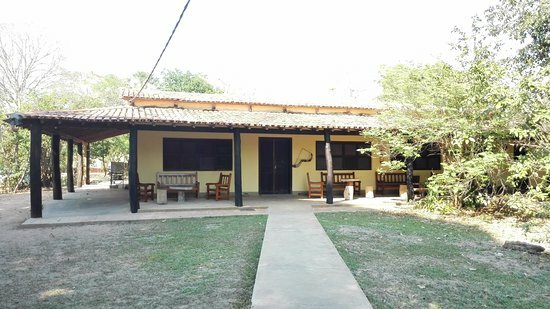 This rustic lodge focuses on the nature surrounding including the hyacinth macaws and toucans as well as many mammals regularly visiting its grounds. Here the wildlife of the Pantanal comes right up to your window allowing you to appreciate its riches at first hand. 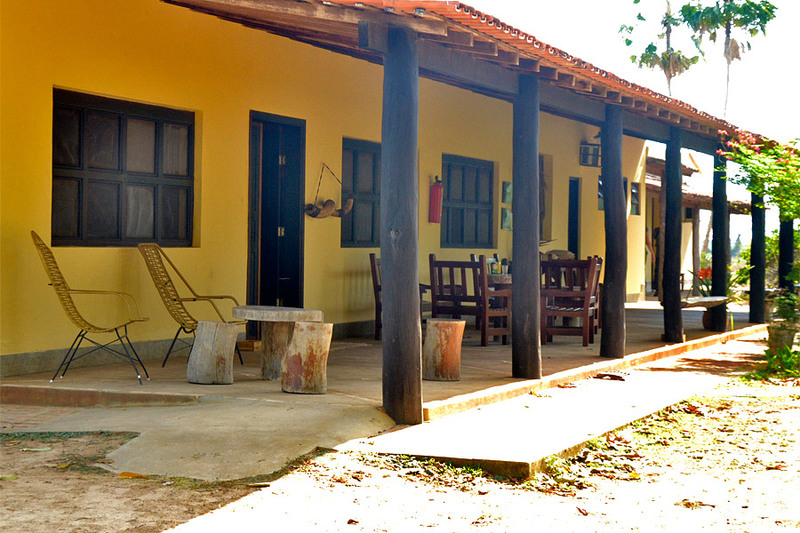 Pouso Alegre is a countryside lodge located at Poconé at marker 33km on the Transpantaneria Highway. 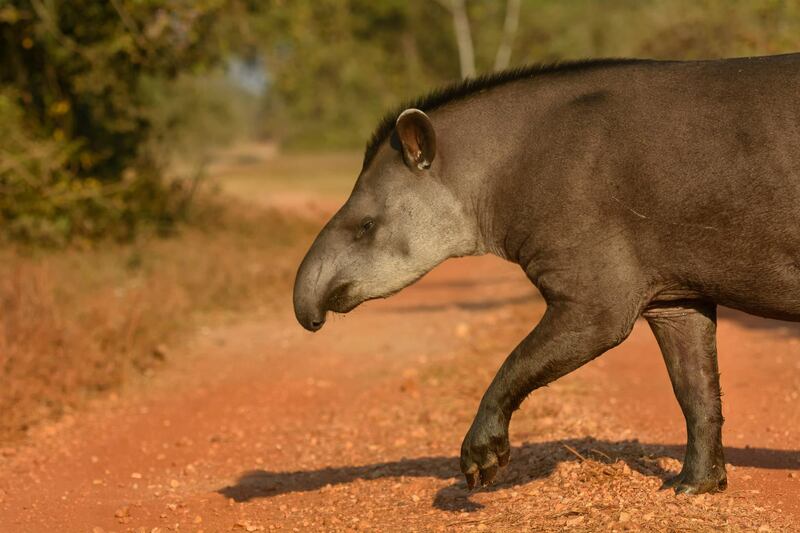 Situated in a traditional Pantanal cattle farm, within 7.000 hectares, this area has a great diversity of preserved Pantanal landscapes. 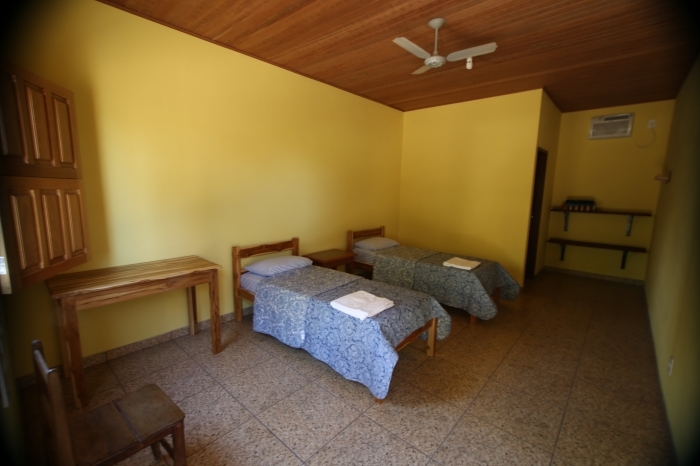 The simple but comfortable accommodations are in harmony with the landscape and a farming lifestyle. 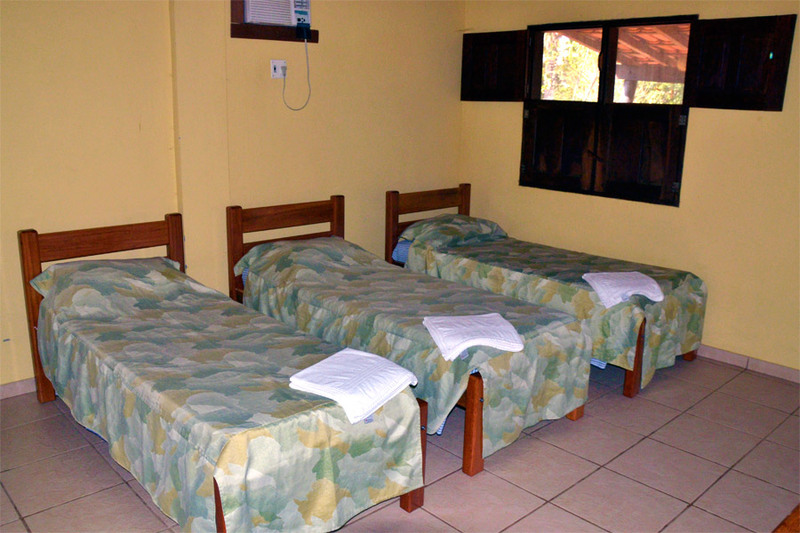 The lodge offers 25 bedrooms, equipped with air conditioning, window screens, a fan and and bathroom. 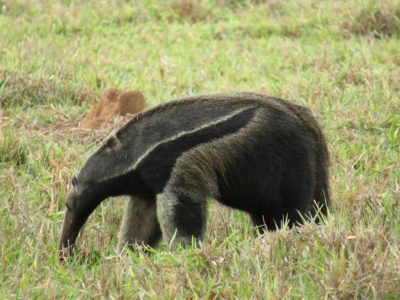 There are no introduced species so you find traditional flora and fauna. 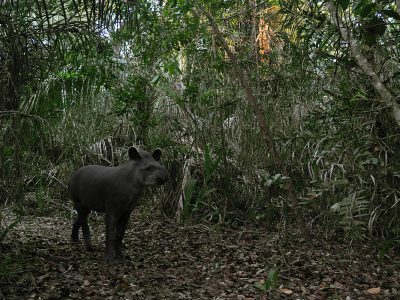 There are large flooded fields of native grass, several kinds of forest and permanent and temporary water bodies. During both drought and flood, you can horseback ride to rarely visited places or explore via canoe. 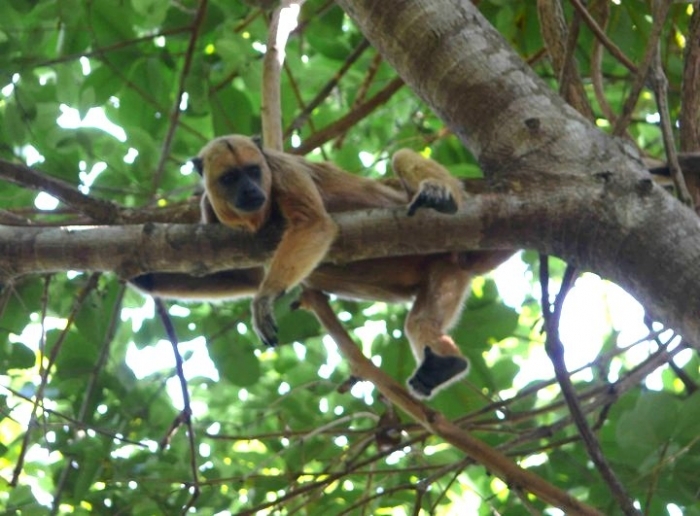 Animals such as cayman, capybara, monkey, anacondas, deer and many different bird species can be found in the wild natural habitats. 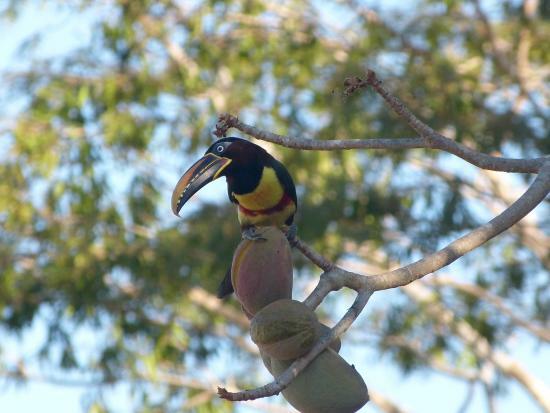 The lodge grounds also offer a wide range of birds including the hyacinth macaws, toucans, cardinals and the bird symbol of Pantanal, the jabiru stork. 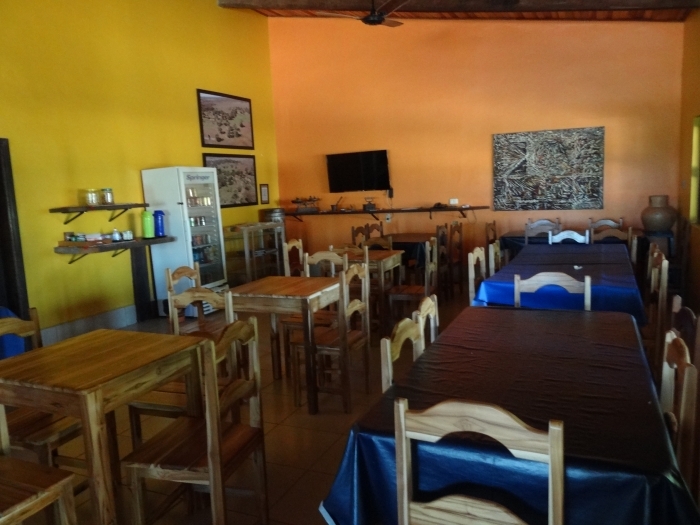 The combination of limited capacity, easy access, delicious typical food and peaceful ambience make of Pouso Alegre a great option for exploring the Pantanal.